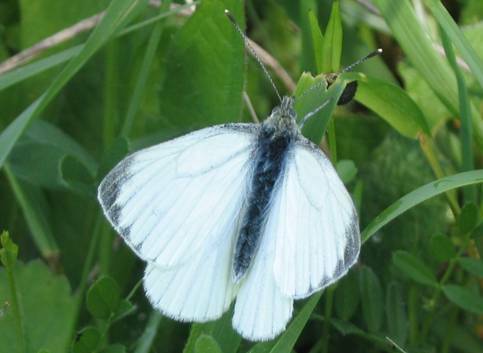 Although this species shares a certain amount of behavioural characteristics with the Small White, it is generally less ‘fidgety’ and easier to observe. 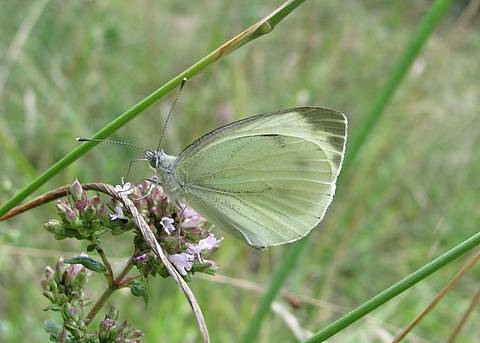 The green veins on the underside of the hindwings are very pronounced in the spring, but on summer individuals these markings are greatly reduced, even to a ‘hint’, and great care must be taken to identify the butterflies correctly. 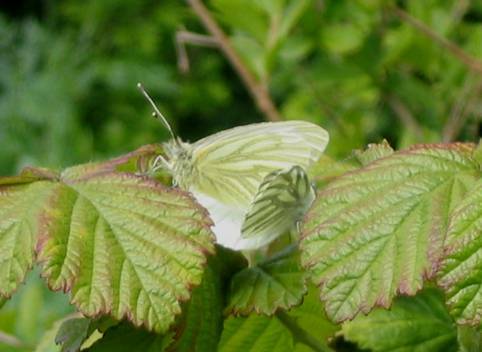 In the autumn the third brood contains a mixture of individuals with pronounced and faint veining. 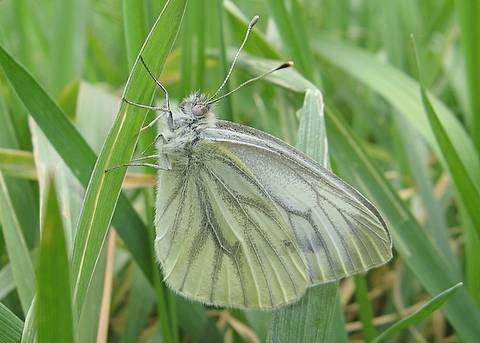 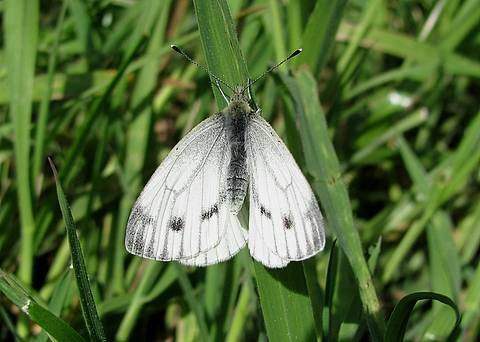 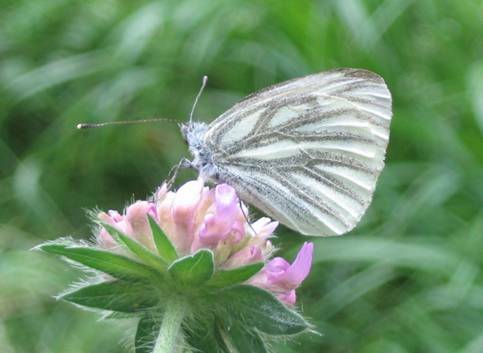 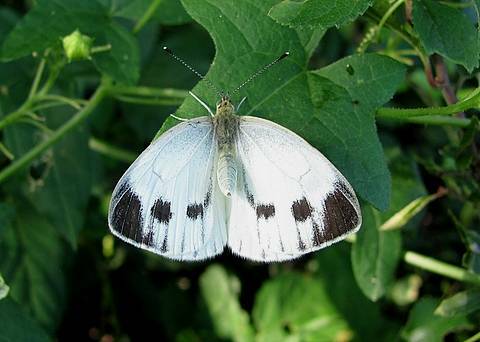 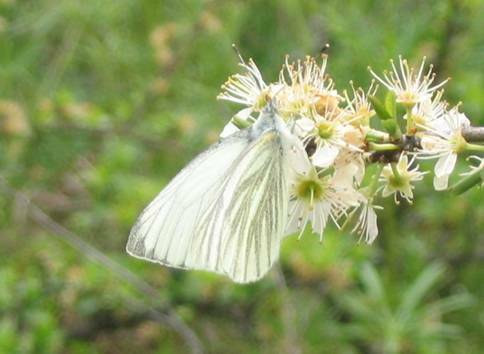 Although this butterfly is found in generally damper and more wooded conditions than P.rapae, one regularly finds both species side by side, and the Green-veined White is equally as common as the Small White in many situations. 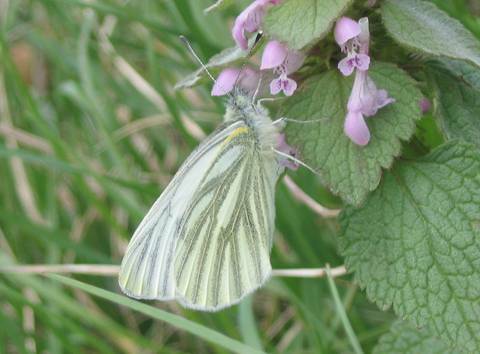 Herb-Robert is a good nectar plant in May and vervain in the summer.